Editing is essential. Even if you really are a fantastic speller and sentences always come naturally to you, your first draft is called your first draft for a reason. There will always be mistakes to rectify, characters to revisit and chapters to rethink. The editing process allows you to step back from your book and think about how it works, and how it needs adapting. It will also make you look at each sentence of your book individually and think about its function to the book as a whole. It can be a long process, but it is an essential part of publishing. Structural / Substantive editing: This is where you look at the bigger picture of your book. Does the plot makes sense? Do your characters each have a purpose? Are all the facts correct? Do you use too many technical terms that your audience may not recognise? Does your narrative voice suit the book (should it be first person?) Make sure you delete scenes that slow down the pace of your novel, or don’t progress the plot. Line Editing: This focuses on your paragraph and sentence structure. 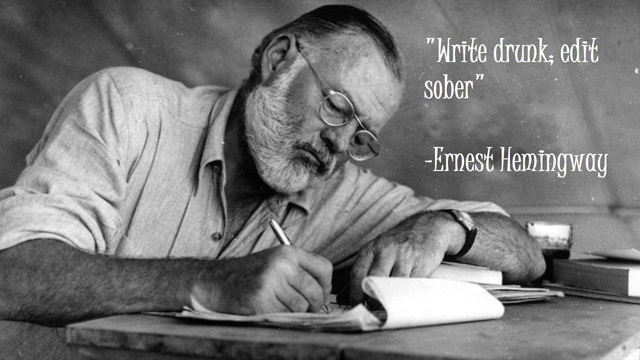 The trick is to try to make your writing as easy to read as possible. This doesn’t necessarily mean you have to dumb it down, just look at awkward sentence structure, overly-wordy sentences and unnecessary repetition. Proofreading: This is the most known type of editing as it includes fixing typos, spelling, punctuation and grammar mistakes. It’s normally the edit you do last, once you are happy with the structure of your book. Editing your own work can be difficult, as you often read what it is supposed to say, rather than what it does. It is easier to miss typos and plot holes this way. If you want to edit your book entirely by yourself, then you’ll need to dedicate a large amount of time to reading and re-reading your book. You should read it with each of these editing types in mind, to help ensure you are picking everything up. The structural edit: If you haven’t already, do profiles for each of your characters and write their function, and how they change in the book. Many authors also find it useful to write each major event on a post-it note, and map the arc of their novel visually. For non-fiction books, think about whether your thesis is clearly defined. Map out your argument – is it easy to follow? Make sure you have done enough research to support your thesis. Finally, think about the tone – is it appropriate for your audience? The line edit: This is probably the most difficult, as it’s hard to stop yourself getting carried away in your own story. Combat this by taking regular breaks, and reading it out loud. If you stumble, something needs changing. The copy edit: Don’t just rely on spell check. 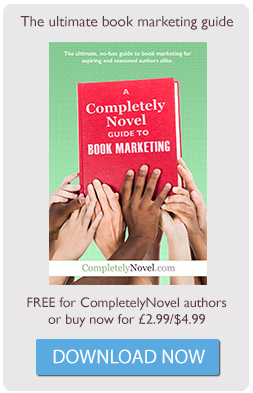 You might find it useful to print off a physical copy of your book, or get a ‘proof copy’ printed on CompletelyNovel. Seeing your work from a different perspective can distance you from it slightly and allow you to pick up any errors you’ve missed. There are lots of freelance editors and companies who will help you edit your work. It’s important to choose someone with good editing credentials. If you aren’t sure about your editor, ask for a sample of their work before entrusting them with yours. If you need help choosing an editor, CompletelyNovel can help out. Check out our People We Trust page for more details. Editors will usually charge either by the hour, or by the number of words. Make sure you shop around and ask authors for recommendations, you will want to find someone who is going to do a good job, without charging over-the-top prices. Also make sure that you know what kind of edit you are going to get. Remember, your book will need all three types of editing before it is ready to publish. A cheaper option is to ask your family and friends to help you. This is particularly good for authors who choose to mainly to do their own editing. Your family and friends might help you spot errors and plot holes you might have missed. Remember to take all structural feedback with a pinch of salt; you can’t please everyone, and you shouldn’t try. When it comes to copy editing, you can check all comments on the OED, if you are not sure. More tips on editing can be found in the ‘Get Your Book Fit’ online course, here. Francine Toon talks about the best editing techniques for your novel. Do you write biography, autobiography and memoir? Read Michelle Asantewa’s advice for engaging life writing.